Black Friday is here on Friday 23rd November but some have started already! Check out some of the deals available now in stores. 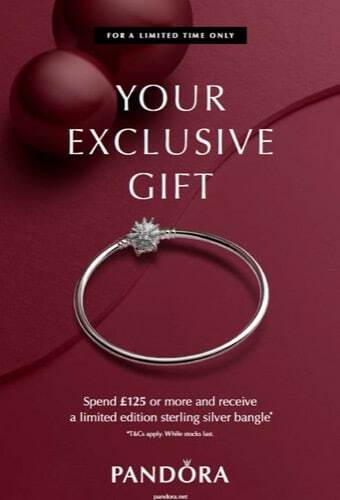 Limited edition sterling silver bangle with a £125 or more spend. Black Friday offers now on in store! Black Friday deals are here and Bonmarché are offering BUY 1 GET 1 HALF PRICE ON EVERYTHING in-store and online! Plus look out for their MEGA DEALS with a new deal each day! Hurry this offer is for a limited time only so don’t miss out! 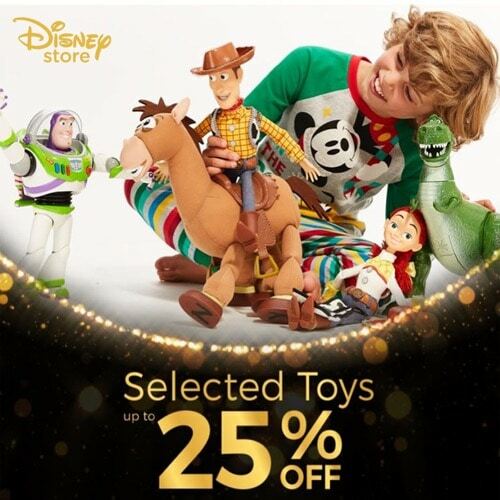 Disney Store – Black Friday Offer! BLACK FRIDAY HAS COME EARLY WITH SMIGGLE! GET 30% OFF SELECTED CHRISTMAS GIFTS! HURRY, FOR A LIMITED TIME ONLY! SMIGGLE’S COLOUR FRIDAY FESTIVAL IS HERE AND IT’S GUARANTEED TO BRIGHTEN UP YOUR BLACK FRIDAY WITH 30% OFF SELECTED CHRISTMAS GIFTS! OFFER LIVE IN-STORE NOW! HURRY, OFFER ENDS SUNDAY! ADD A SPLASH OF COLOUR TO YOUR BLACK FRIDAY WITH 30% OFF SELECTED CHRISTMAS GIFTS AT SMIGGLE! HURRY, ENDS SUNDAY! 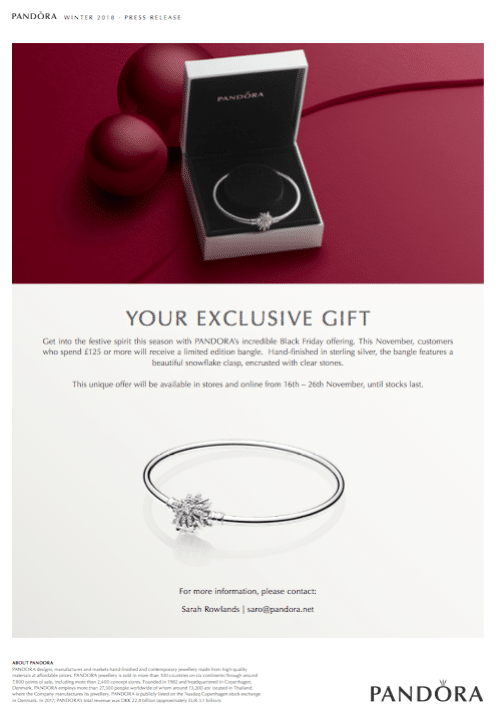 PANDORA – Your exclusive gift! Black Friday offer! 20% off everything when you spend £75 or more!